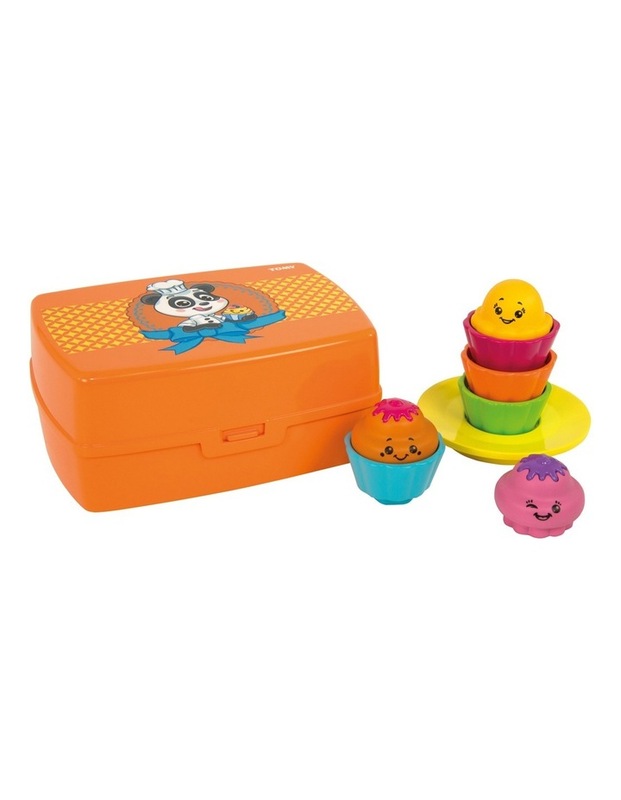 Shake & Sort Cupcakes from TOMY are perfect shape-sorting fun! Match the shapes on the bottom of the cupcake cases to the box and shake the cakes to hear them rattle. Little ones will love separating the cupcakes from their cases and stacking them on top of each other on the plate. The lunchbox and plate are perfect role-play fun. Suitable for children ages 10 months and up.